The turning point in English history – 1066AD. This being the date of the Norman invasion led by Duke William ‘The Conqueror’ – soon to become Norman King of England . A magnificent sword representing the epitome of this heroic man. 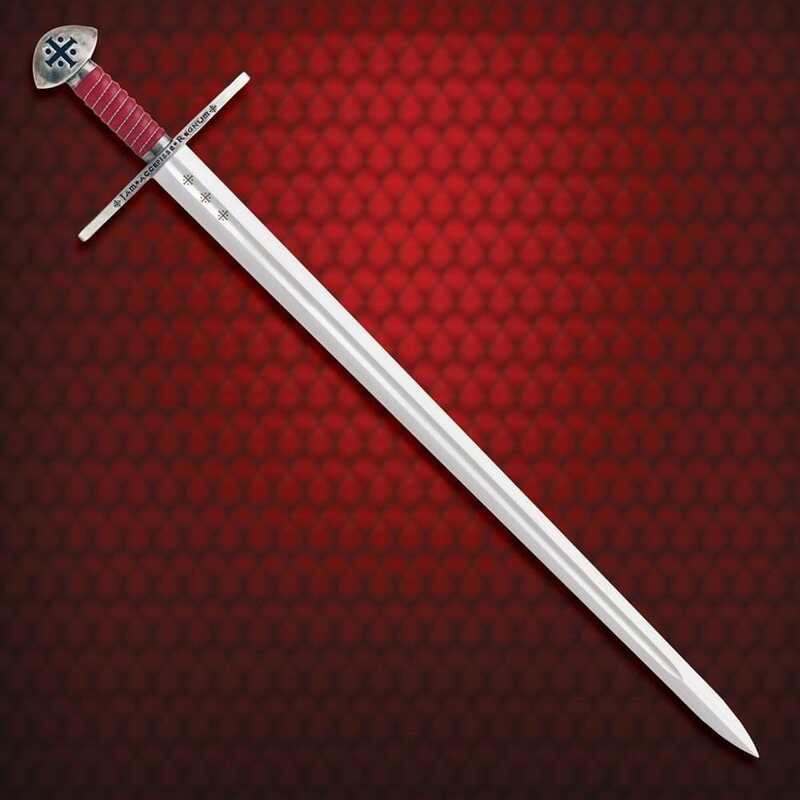 The long wide fuller down the blade lightens the weight making it a formidable weapon. A brazil nut shaped pommel has been inset with the battle cross of William as well as the blade fuller. 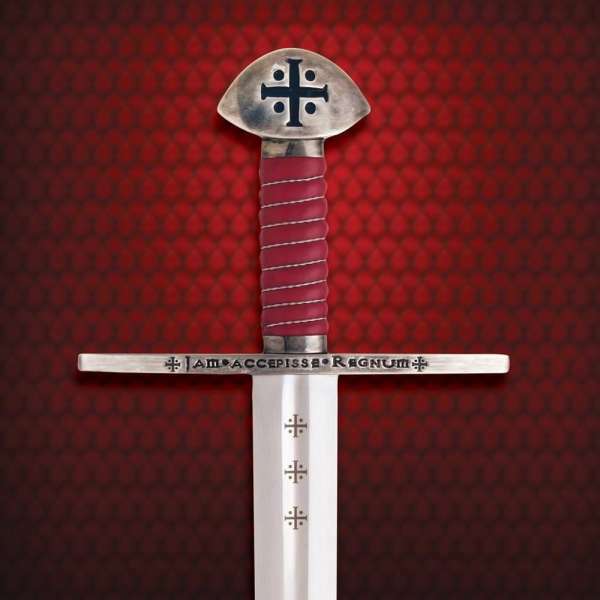 The straight hilt in has been inscribed with the Latin phrase Jam Accepisse Regnum; ‘I have already grasped my kingdom’. 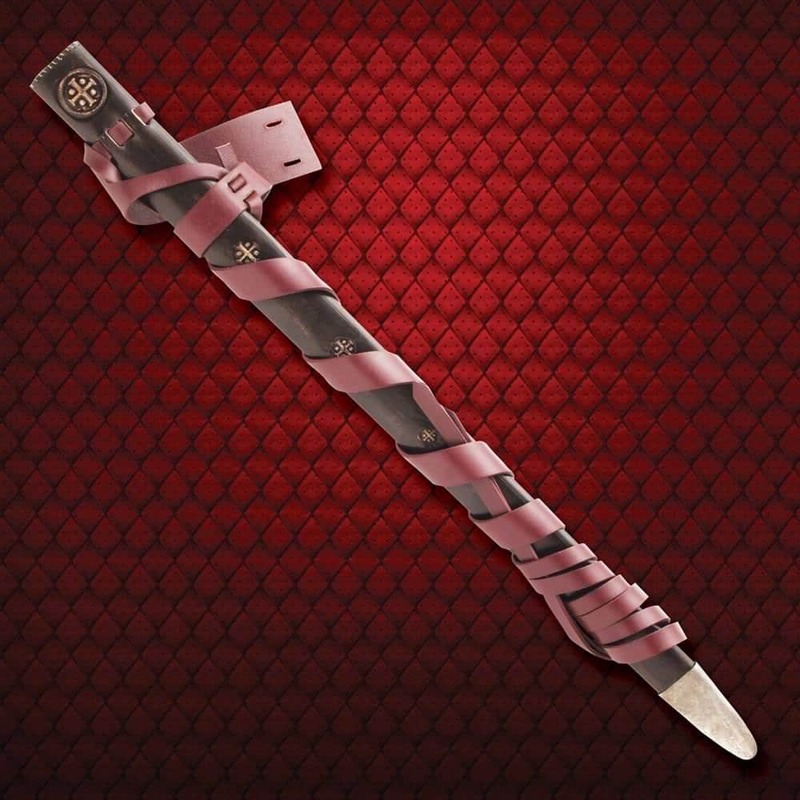 The sturdy wooden grip has been covered in deep blood red leather and wound with silver wire. 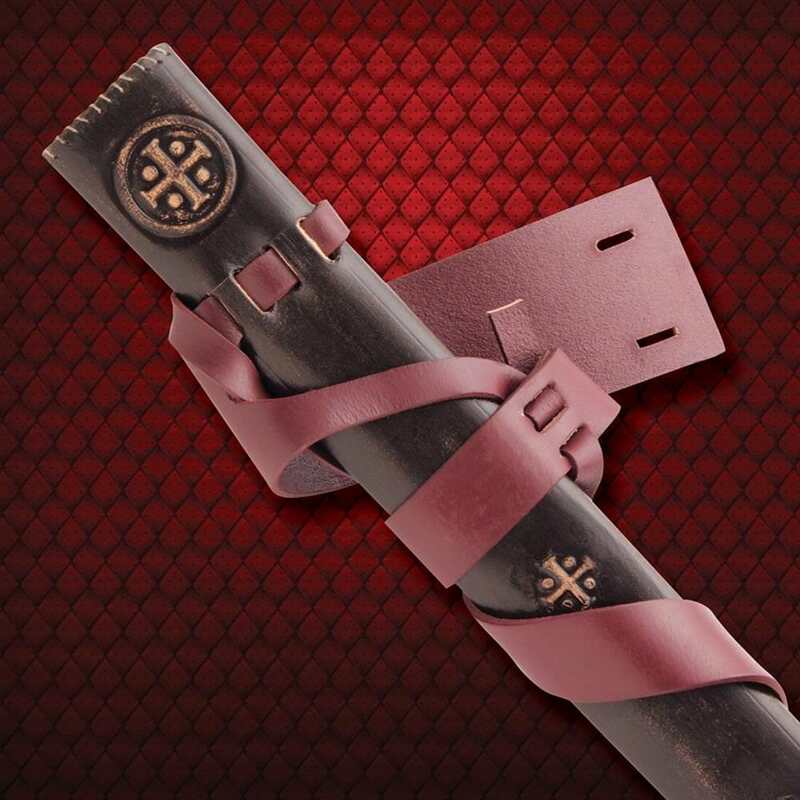 A fitted brown leather scabbard covered in a brown leather is embossed with the cross of the Conqueror. Also comes with a blood red belt with period ties.